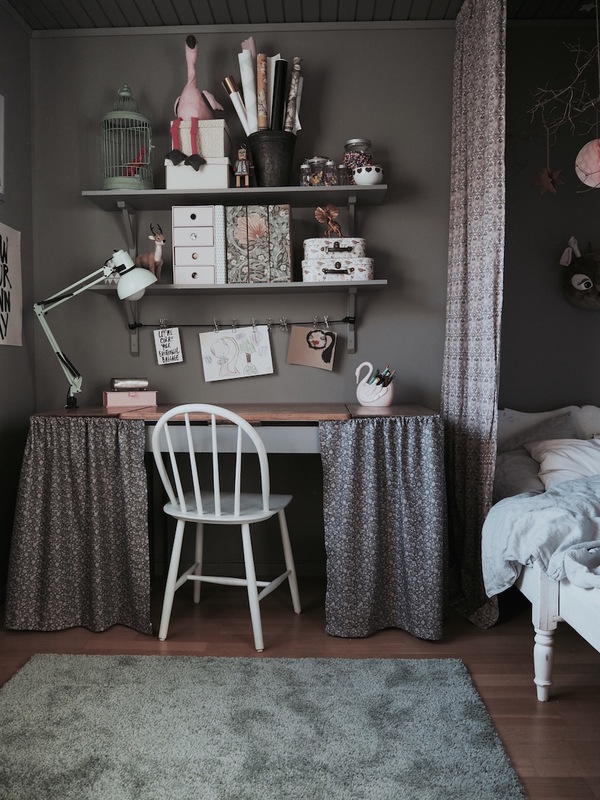 I have been looking for inspiration for the kid’s room in moody tones of blues together with dusty pinks and maybe some mustards. I want Alva’s corner to be a bit softer and the boy’s side a bit bolder. Not an easy thing combining the two in the same room. Since we have a rental I can’t do much on the walls so I have to do it with fabrics, furniture and wall decorations. Our plans are to move out of here in a couple of months so I’m not going all in on this, just to make it nice and pretty while we stay here. Love all the different tones of grey in these rooms. 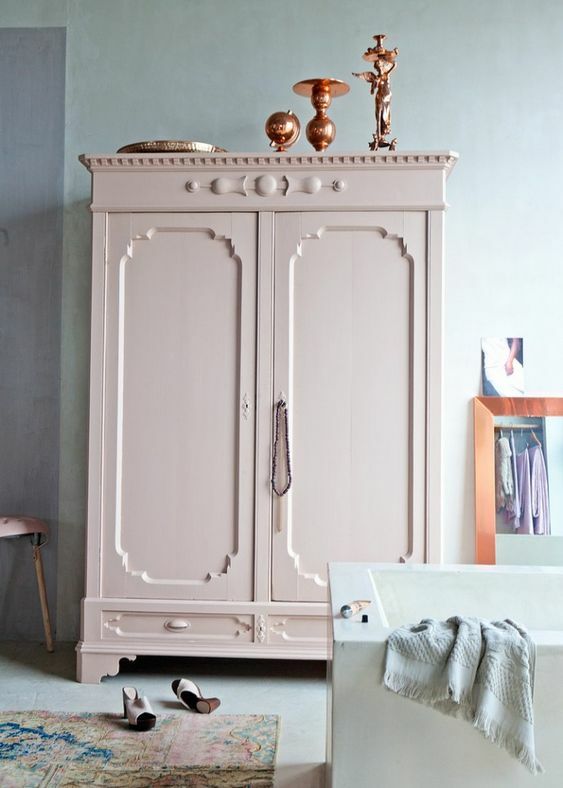 I really want to thrift a cupboard but it has to wait until we live in a “normal” house I think, there’s no way a thing like this makes its way up our staircase to the bedrooms. 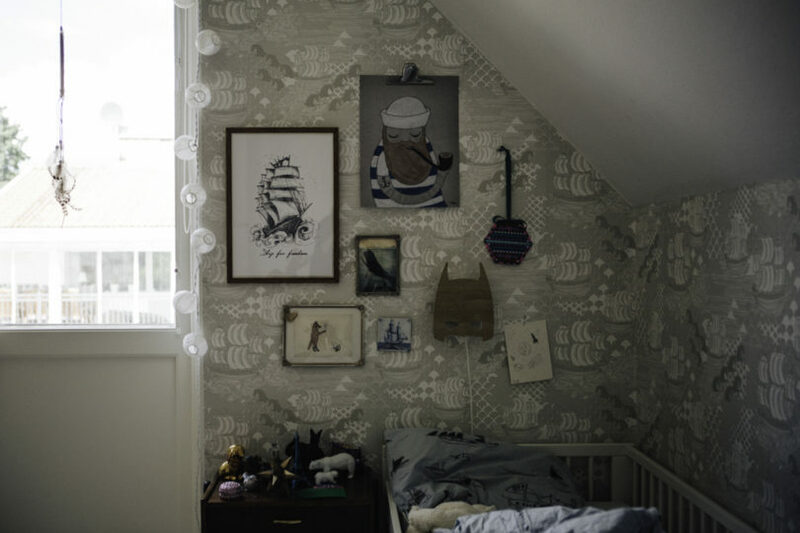 I love the prints from Swedish Mrs Mighetto. They suit both boys and girls. 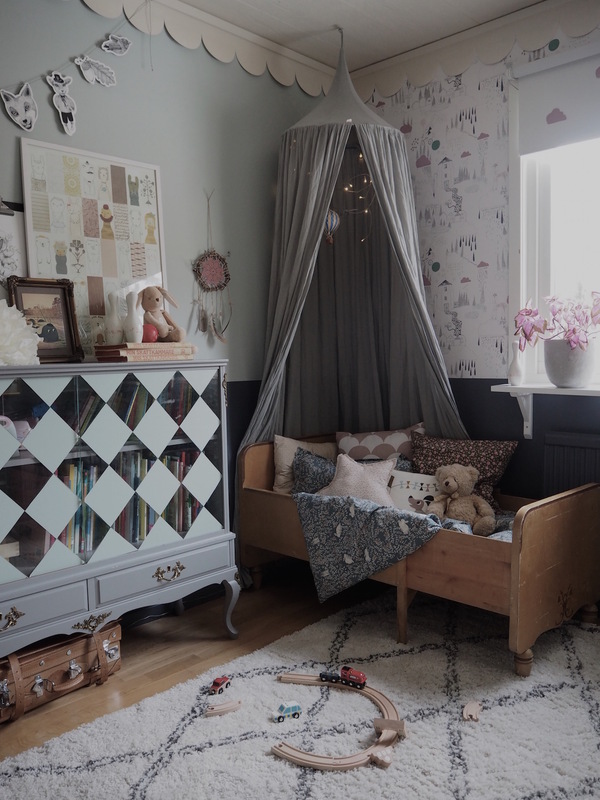 What do you think, is it possible to combine a boy’s room with a nursery in a more girly tone?